Two things happened recently that 99% of the ICT world would normally miss. After all microprocessor and chip interconnect technology is quite the geek area where we generally don’t venture into. So why would I want to bring this to your attention? We are excited about the innovation that analytics, machine learning (ML) and all things real time processing will bring to our lives and the way we run our business. The data center, be it on an enterprise premise or truly on a cloud service provider’s infrastructure is being pressured to provide compute, memory, input/output (I/O) and storage requirements to take advantage of the hardware engineers would call ‘accelerators’. In its most simple form, an accelerator microprocessor does the specialty work for ML and analytics algorithms while the main microprocessor is trying to hold everything else together to ensure that all of the silicon parts are in sync. If we have a ML accelerator that is too fast with its answers, it will sit and wait for everyone else as its outcomes squeezed down a narrow, slow pipe or interconnect – in other words, the servers that are in the data center are not optimized for these workloads. The connection between the accelerators and the main components becomes the slowest and weakest link…. So now back to the news of the day. A new high speed CPU-to-device interconnect standard, the Common Express Link (CXL) 1.0 was announced by Intel and a consortium of leading technology companies (Huawei and Cisco in the network infrastructure space, HPE and Dell EMC in the server hardware market, and Alibaba, Facebook, Google and Microsoft for the cloud services provider markets). CXL joins a crowded field of other standards already in the server link market including CAPI, NVLINK, GEN-Z and CCIX. CXL is being positioned to improve the performance of the links between FPGA and GPUs, the most common accelerators to be involved in ML-like workloads. Of course there were some names that were absent from the launch – Arm, AMD, Nvidia, IBM, Amazon and Baidu. Each of them are members of the other standards bodies and probably are playing the waiting game. So to me it seems that despite Intel working on CXL for four years, it looks like they might have been outbid by Nvidia for Mellanox. 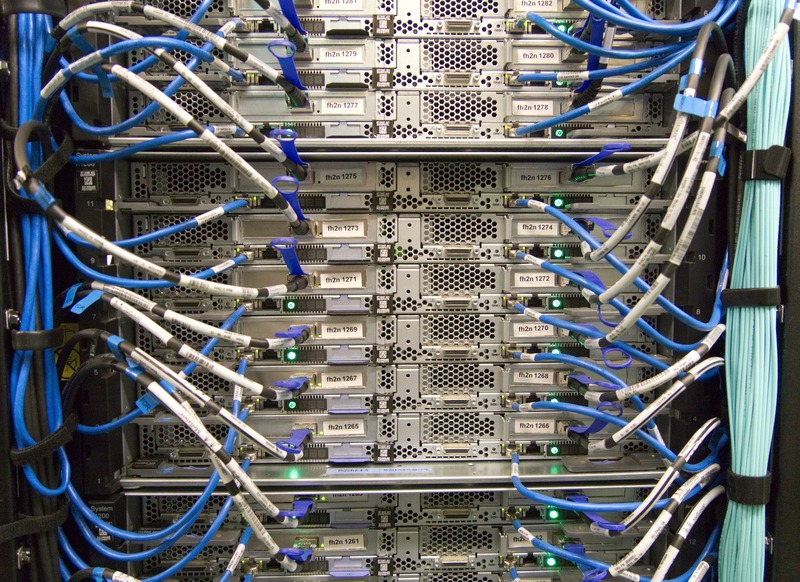 Mellanox has been around for 20 years and was the major supplier of Infiniband, a high speed interconnect that is common in high performance workloads and very well accepted by the HPC industry. (Note: Intel was also one of the founders of the Infiniband Trade Association, IBTA, before they opted to refocus on the PCI bus). With the growing need for fast links between the accelerators and the microprocessors, it would seem like Mellanox persistence had paid off and now has the market coming to it. One can’t help but think that as soon as Intel knew that Nvidia was getting Mellanox, it pushed forward with the CXL announcement – rumors that have had no response from any of the parties. The two announcements are great for any vendor who is entering the AI, intense computing world using graphics and floating point arithmetic functions. We know that more digital-oriented solutions are asking for analytics based outcomes so there will be a growing demand for broader commoditized server platforms to support them. Tech suppliers should avoid backing or picking one of either the CXL or Infiniband at the moment until we see how the CXL standard evolves and how nVidia integrates Mellanox. These two announcements reflect innovation that is generally so far away from the end user, that it can go unnoticed. However, think about how USB (Universal Serial Bus) has changed the way we connect devices to our laptops, servers and other mobile devices. The same will true for this connection as more and more data is both read and outcomes generated by the ‘accelerators’ for the way we drive our cars, digitize our factories, run our hospitals, and search the Internet. Innovation in this space just got a shot in the arm from these two announcements. 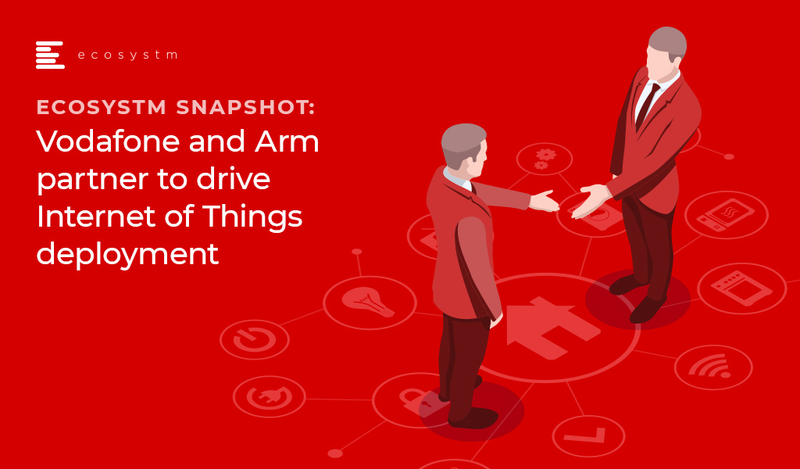 Vodafone and Arm announced a strategic agreement at MWC19 to work on simplifying IoT services and reduce the costs confronted by the organisations on the implementation of IoT. The Vodafone-Arm agreement expands on the previous collaboration which was on integrated SIM (iSIM) technology, a system on chip(SOC) design which can be reprogrammed with respect to the requirements. The iSIM allows customers to remotely provision and manage IoT devices across the globe which proposes reduced complexities and offers significant cost reduction. To carry on the existing relationships this agreement is expected to bring Vodafone’s IoT global platform and Arm’s IoT software services to offer organisations a world of connected systems. This characterises a major initiative enabling a wide ecosystem of manufacturers to tap into the potential of trillions of connected devices. Arm’s announcement of its iSIM is the latest in a series of announcements to resolve the size, cost, and scalability of SIM cards. SIM cards are critical for secure identity so the challenge has been to create a cost-effective IoT System On Chip (SOC) that has the SIM function embedded on it. Through its Kigen product family, Arm’s tech buyers will be able to build solutions on the latest cellular standards and specification suitable to run on 5G and backward compatible networks. Vodafone’s customers will now be able to create a cellular-based IoT solution that can be continuously connected and deployed globally, giving them better investment protection and reduced operational costs. In addition, customers will have the choice of managing these devices through a ‘single pane of glass’ on either Vodafone’s IoT platform or Arm’s Pelion IoT Platform. Globally, the HealthTech innovation ecosystem has many startups working at the intersection of IoT and AI to solve some of the tough problems faced by patients and other stakeholders in the healthcare space. Several factors have led to a proliferation of a class of devices in the health, fitness and wellness space – such as, miniaturisation of sensors, advancements in microcontroller design and power management, low cost and flexible circuit design The ubiquitous availability of smartphones and always-on connectivity has enabled real-time access to cloud-based AI capabilities to transform IoT data into meaningful insights that can be used anywhere and anytime. 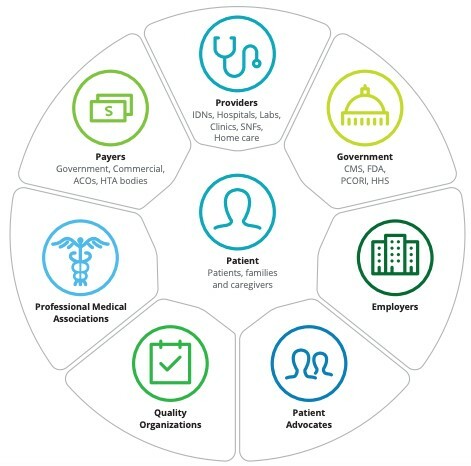 The key objective of healthcare provision is to engage the multiple stakeholders involved within an ecosystem to deliver better and holistic clinical outcomes. The basic premise of medicine is “Do NO Harm”. Due to the relative newness of both devices and apps, there is only a small body of knowledge and precedence for a clinician. This is too small to take a risk with using “new” data to make decisions, even though the new data may be better than other available “time-tested” options on hand. Clinical diagnosis is based on years of medical training, time-tested knowledge and practice and clinician “Gestalt”. More often than not, the way an AI system performs the predictions is not fully understood by the clinician. Because of the relatively new field, any new AI-based prediction system will need to establish its credibility that it will NOT do any harm to the patient. Clinicians value their ability to do the right thing for the patient more than anything else. Establishing the trust between the clinician and the black-box algorithm is critical for any successful adoption. There is a lack of a common language and understanding between clinicians and technologists, especially when it comes to what “innovation” means for the other party. For a technologist, innovation lies mostly in the features and capabilities of the technology. Their mindset is that innovative technology can be easily adapted to healthcare, similar to the way mobile phones have been adopted by consumers. Their belief is that people and practices will change quickly when presented with better technology and insights. For a technologist, innovation is what transforms a practice in leaps and bounds. For a clinician, innovation is incremental to start with, and it evolves with time. There is a widely-held belief that if a new technology is not easy to understand, then it probably will not be good. Features and capabilities do not mean much to them. Innovation MUST be simple to understand, reliable, repeatable and MUST solve a problem that they cannot solve by themselves. The arguments in the public domain whether or not AI will replace clinicians adds to the skepticism. Perhaps the biggest factor of all is that clinicians demand evidence of safety and efficacy of new technology through the lens of time-tested processes of randomised clinical trials. Unless there is evidence created by the technologists through well-designed and robust clinical trials, adoption of new technology will be a hit and miss. Technology companies interested in transforming healthcare should have a solid understanding of the clinical trials process and should create adequate scientific evidence to positively influence clinicians. The most important aspect of gathering clinical evidence is to identify the relevant data for decision making. 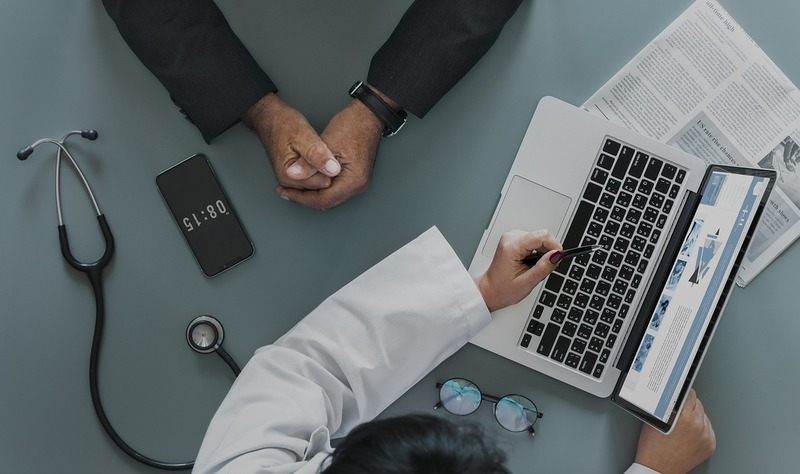 Many clinicians do not readily utilize the data collected from connected healthcare devices into their diagnosis and decision processes due to the lack of connections between data and clinical practice. While 10,000 steps a day might be a good benchmark for exercising right, that number means nothing if it is not connected to a clinical decision framework. Healthcare leaders predict that the implementation of healthcare IoT and AI solutions on a scale will transform their industry. The next few years will see more interconnected IoT devices and reliable applications based on deep learning. To achieve adoption and impact of new technology, the innovators and healthcare stakeholder ecosystem leaders should address the need for trust and evidence. Real World Evidence and Randomised Clinical trials are effective ways to bridge the gap and to establish a common framework to address the user adoption issue. Arun Sethuraman, Principal Advisor MedTech, Ecosystm is also the founder and CEO of Crely Healthcare, a MedTech startup based in Boston and Singapore. Infection of the surgical site, post-surgery, if not detected and treated early, leads to high incidence of mortality in patients, poor health outcomes, poor patient experience, higher healthcare costs, and loss of reputation and reduced profitability for healthcare providers. Crely’s mission is to provide an early warning and clinical decision support system for surgical site infections (SSI), post-surgery. Crely generates an early warning of SSI by algorithms based on biomarker data collected from patients using an IP-protected, secure, non-invasive, continuously wearable, clinical grade medical device. 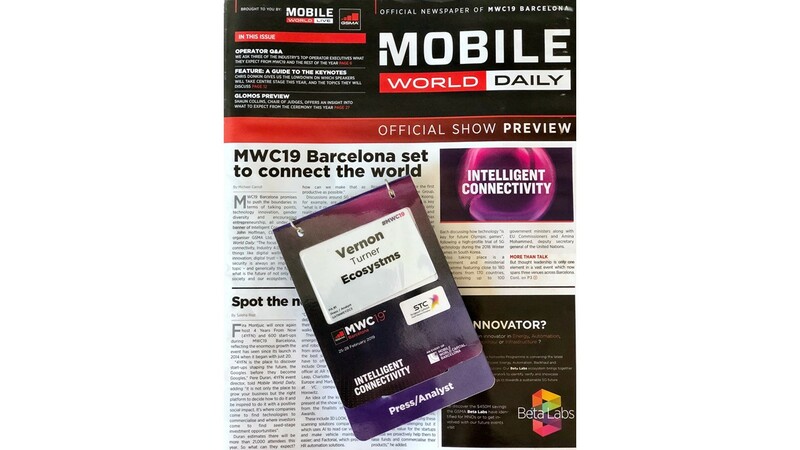 When I wrapped up my visit to this year’s Mobile World Congress (MWC) in Barcelona, I had wondered if my pre-trip question of what would the 5G story be after several years of being told that each preceding year was ‘the’ year. However, this year had a very distinct vibe to it, and I was rewarded for my pilgrimage to the Grand Fira. Let’s not forget that technology takes longer to roll out that all of us want to think and 5G is no different. We have had no excuses since we only have to look at how long it took 3G and LTE to become mainstream and how long the transition from the prior technology took to move to the next generation. However, the mobile and telecom industry is not the same as it was when earlier telecommunication tech was being upgraded. In the past hardware, benchmarks feeds and speeds dominated the marketing messages, but now it is about software, cloud and ecosystem collaboration. Gone are the days when the telecom equipment vendors ruled the conversation about their technology – that has clearly been replaced by IT companies leading the charge with topics such as virtualization, IoT, analytics and new services. Once there was a US automobile commercial that touted the latest edition of its cars was ‘This is not your father’s Oldsmobile’. Well, 5G is not your father’s telecom infrastructure! This time around, operator and equipment vendors may have to take the collaborative partner role in any new digital solution. Instead of 5G projects being dominated by Ericsson or Huawei for example, there is a role for the likes of VMware, Microsoft, and Salesforce to be the lead company. In some cases, it could be Bosch, PTC, or Siemens while in others it could be Audi, BMW or Mercedes. The overall trend here is that all of these companies are being digitally driven to deliver new services to a customer that is firmly at the center of an ecosystem. The one industry sector who might lose out could be the telco operators who could be squeezed by the surge from IT vendor relevance, despite them investing heavily on 5G licenses. However, this time the operators are in a much stronger position to be the perfect channel for the massive amount of intelligence-laden data being created by smart connected devices that are not typical mobile devices. So what was the outcome at MWC? I visited both the Huawei and Ericsson booths following pre-MWC briefing sessions to see if the customer buzz was there – and indeed it was. Ericsson may have won the prize for the most crowded booth, while Huawei’s sprawling booth wins the most lavish and largest booth. The two company’s 5G messages could not have been more different. For me, Huawei had invested heavily in making its hardware products very compelling for operators to install. Clearly, there had been a lot of research had gone into replacing existing infrastructure with massive performance upgrades and deployment friendly attributes e.g. size and weight of base stations that could be mounted by individuals rather than by cranes. The result of this strategy is that Huawei’s customers can quickly deploy 5G platforms with lower CapEx and OpEx thus creating significant incentives for operators to migrate to 5G networks. Ericsson’s leading story was about migrating to 5G by highlighting its key enablers (i.e. carrier aggregation, LTE-NR spectrum sharing, and dual mode 5G cloud core). It appeared that Ericsson had moved its message off hardware (which, by the way, is still table stakes in any selection process and Ericsson had plenty of new 5G related offerings) and onto a strategy of smooth evolution and deployment at scale – a much more business leader discussion than a network, driven by software. Finally, both companies had strong messages around their AI capabilities to help their service providers make sense of the growing complexity of services that will be generated by the connected smart IoT devices. IT and industrial companies played an increasingly important role at this year’s MWC as service providers and they became involved in deeper partnerships. 2019 was the year when the gaps for 5G between the network and IT services were being filled in. For example, I saw AR (augmented reality) solutions by PTC supported by Microsoft and being fed by data off a 5G network. This showed how industry, cloud and network service providers will accelerate new technologies. In another example, Salesforce showed how Edge Computing events triggered Salesforce SaaS-based enterprise management services while being supported by AT&T’s 5G network and the modules being designed and tested at AT&T’s Foundry. Here, AT&T 5G network was being used as a high-value channel for Salesforce’s customers to run their business functions at the edge of the network. Digital twins have shown up as a digital representation of a physical device or asset. However, this year, I saw a Wipro example of how 5G could drive digital twin concepts beyond physical assets and into the workflow, supply chain management, logistics and worker safety. Every ‘asset’ that was to be used in a factory floor was digitized into a digital twin and then a 5G network was used to monitor and manage every aspect of the factory. It seemed that Industry 4.0 had arrived in its full glory. Finally, VMware continues to be the IT company that service providers will either love or dislike – I still don’t know which one it will be. VMware’s virtualization and cloud management capabilities have been extended right into 5G networks. For example, NFV (Network Function Virtualization) is critical to operators as they slice the 5G bandwidth into the appropriate services. VMware has its strategy correct when it says that it could virtualize the network just as it has with the cloud, but in doing so is making itself either a partner or a competitor of the operators for their 5G services revenues. 2018 was the year when VMware made a big splash at MWC, 2019 was the year when they showed that they have something to offer – will 2020 be the year when they take over the network software virtualization profit pools just as they did with the enterprise server virtualization market? In conclusion, MWC 2019 was the year that the 5G gaps to make end-to-end infrastructure solutions where clearly being filled in. Service providers had stepped up their willingness to be part of the customer-centric ecosystem that is almost certainly being led by IT software companies. Telecom equipment vendors were offering technology solutions to speed up 5G deployments while making forward compatible solutions much easier. Finally, 5G-supported applications remain the last piece of the puzzle that MWC hasn’t addressed fully. As a result of the massively varied 5G use cases, there is still a look of curiosity on which industry will be the lead for 5G – will it be the auto industry with autonomous cars, will it be Industry 4.0 and the smart factory, or will it be smart cities with video surveillance. In addition, it is certain that IoT is still very much a necessary part of any 5G strategy just as AI outcomes continue to fuel IoT-based sensors in technologies such as the self-driving cars, AR, and digital twins. 2019 may have been the year that decided that it won’t matter whether the connected IoT device used licensed (NB-IoT) or unlicensed (LoRa) spectrum protocols as both will be seamlessly connected to a 5G network. IoT was not dead, it had simply grown up and was now integrated with more valuable solutions. The cyber world is ever growing and in this vast world, no business is 100% safe & insured against cyber attacks. With so many threats out there incurred every minute, it is hard to detect each one and prevent them all. In this world of disruptive technology if organisations want to remain competitive, keeping their IT infrastructure security up-to-date is a must. The Government, cybersecurity experts & other groups are taking various initiatives to spread awareness on cyber attacks but despite these attempts, organisations fail to take their cybersecurity seriously, we may say this is due to lack of awareness, increase in expense or companies simply not wanting to take the pains to prevent breaches. “When things are going well, it is hard to sell the message of security to stakeholders and get support from across the business. When things are not going so well (e.g. you’ve had a breach), it means high pressure and a lot of focus on your performance” says Alex Woerndle, Principal Analyst Cybersecurity, Ecosystm. Cyber attacks happen without notice. While there are many cyber experts present to help and provide consultation to the organisations, knowing beforehand about the attacks and strengthening your cybersecurity will safeguard you against serious ramifications. Let’s Understand – What is a Cyber Attack? A cyber attack is a deliberate attempt by an individual or a community working together to tap into an existing or a newly discovered vulnerability in the system, network, firmware or software resulting in complete control or gaining information from the victim’s system. While measuring the ill-effects of a cyber attack, we can say that with access to critical data one can exploit sensitive information, identity and may cause serious damage to an organisation or personal identity. Sometimes, a cyber attack is also referred to as computer network exploitation (CNE) or a computer network attack (CNA). The other common terms used in association with a cyber attack are threat, vulnerability, and risk. Often these terms are mingled together in our day-to-day usage, but they all mean something different. Let’s try to uncover the basic difference between a threat, a vulnerability, and a risk. A threat can be explained as an activity to exploit a weakness in a system, to cause harm or reveal the underlying assets. It always involves a person responsible for performing threat actions to impact the system’s security known as a threat actor. A vulnerability is an unknown system flaw or a known weakness that could potentially be exploited by a person also known as a hacker. In other words, it can be known or unknown issues within a system or its software that can be exploited by hackers. Together, when a threat acts and exploits a vulnerability, this may result in the development of a situation known as a risk. A risk could lead to potential loss or damage to a business. 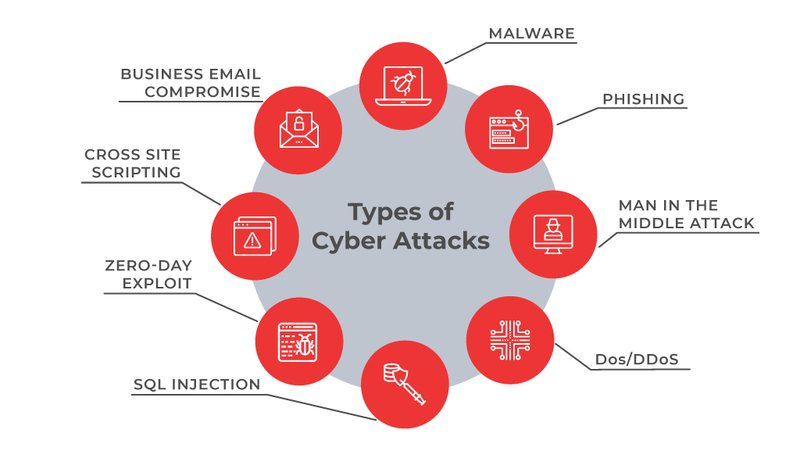 Understanding threats, vulnerabilities, risks and other components will help you to act against cyber attacks but this may raise another question on why someone would try to harm your business. So Why do Cyber Attacks Happen? The people behind a cyber attack could be hackers, a team or a dark web organisation who work with an ulterior motive to commit a digital crime or to gain access to one’s system through a cyber attack. Collectively we may refer to them as cyber criminals. Cyber criminals try to identify vulnerability to crackdown a system.Below are some of the common reasons why a cyber attack happens. This is one of the most well-known types of cyber crime. The motive of cyber criminals here is to get easy access to money and the ways they make this happen is through frauds, demands, data breaches or direct attacks. What attackers try to steal are the business’ financial details or sensitive data/intellectual property, customer financial data or databases, staff or client credentials. By gaining access to these, the attackers get in a position to easily access a secured system and exploit it for their financial gains. Hacktivism is an activity involving anonymous organisations breaking into an organisation’s IT infrastructure for political or social reasons. Hacktivists mount cyber attacks to access information that can damage the intended target or perform activities to hurt or lower the reputation of certain bodies. Government and political bodies are often the targets of hacktivism. Cyber world experts are sometimes challenged by the thrill of hacking or may develop a personality living in a virtual world pushing them to hack into a network with an intention of identifying system vulnerabilities. Generally, hackers are referred to as people with bad motives but hackers are not necessarily criminals as some of them help organisations to test systems, recognise backdoors, loopholes or vulnerabilities in a system which is termed as ‘white hat’ hacking. Knowing the vulnerabilities in the existing IT infrastructure and services may protect organisations from some serious future consequences. Stealing classified information, sensitive data or intellectual property from a government entity or a competitive organisation is a common form of espionage attack. The examples of an espionage attack could be stealing trade and military secrets or technologies or potential system flaws which may pose an influential threat to a nation. Digital technology has empowered individuals with some serious fire-power. IMs and chat technology have made it easy for individuals to form teams or an organisation to commit crimes on the web. Sometimes several groups form communities to commit a serious cyber crime – planned, coordinated and conducted together at a macro level. Aiming to disrupt business, or the operations of critical infrastructure, can be undertaken just to demonstrate security weaknesses, the hacker’s general disapproval for the business, or even to cause extensive operational, financial and physical damage to their target. Data breaches occur every minute and unknown threats and vulnerabilities always pose a risk for a business. To stay protected, it is always better to know and understand the types of threats or vulnerabilities that a business can experience rather than later raising questions on how the attackers got in. Malware . A malware is a type of cyber attack where malicious software is installed on the victim’s systems through executable files usually without the user’s knowledge. Malware includes malicious software, including spyware, ransomware, viruses, and worms. After installation, a malware can keep track of the user’s activity or can trigger codes resulting into access to sensitive information, login details, credit cards or intellectual properties by the hacker. Phishing. Phishing refers to spoofing or deceptive communications activities performed by the attackers that appear to originate from a credible source such as emails, messages, legitimate websites that are disguised. Through phishing, attackers try to fetch sensitive information, user details, credit card numbers or make fraudulent attempts. Man-in-the-middle attack. These attacks happen with relaying or altering the communication channels. This can be communication between organisations and cloud server or over unsecured networks. DoS/DDoS. A DoS/DDoS attack aims at flooding the target website with overwhelming traffic to exhaust resources and bandwidth of the system. These are not to bring down a website but to breach a security perimeter and smoke out the online systems. This can reduce a user base or may bring down the entire network. SQL Injection. This is injecting a nefarious code or statements into SQL queries or a database server to extract information from the database or to take a data dump of the complete database. Zero-day exploit. Zero-day is a software security flaw which is known to the software developers. Attackers try to exploit a vulnerability before a patch or solution is implemented to capture the system with known weaknesses. Cross Site Scripting. XSS attacks occur when a web app sends malicious code in the form of a side script to another user thus bypassing access controls of the site to same as the origin. Business Email compromise. This is an attack to spoof business emails and gain illegal access to company accounts and ids to defraud the company or its employees. Cyber attacks have become a repeated theme every year and we hear quite often about the data breaches. Here’s a visualisation of some of the world’s largest data breaches that have occurred in the past few years. To minimise cyber attacks, businesses can put some counter-measures in place. It is a smart move to be prepared for serious circumstances and act reactively with security measures. Secure assets. It is always considered a security best practice to keep your systems and infrastructure updated with latest security patches and updates which are released from vendors or manufacturers on a regular basis. Conduct threat assessment. Vulnerabilities can arise within your own system or potentially from other sources which are not directly under your control, but they can be identified if you are aware. Perform regular due diligence of your system or network security. Stay informed on threats. News articles, software companies, cyber security organisations often release information on threats and vulnerabilities that can help you stay informed and act against threats. Formulate steps to avoid threats. Training and regular information to organisations and employees can prevent many attacks from happening. If your users or employees are aware and informed they can escape the threats. Keep strong passwords, encrypt sensitive information, safeguard accounts, use firewalls to prevent attacks. Plan an incident response. Create plans and approaches to react against a cyber attack to manage and limit the damage. Always keep your systems backed up online/offline and prepare your IT team to deal with it. You may also take advice or may hire experts to strengthen your infrastructure security. Considering the recent information security breaches, governments around the world are actively forming committees and taking measures to fight against cyber attacks. The governments of various nations have published some guidelines and measures to prevent cyber attacks. The NIST Cybersecurity Framework, US, provides a policy framework of computer security guidance for organisations to assess and improve their ability to prevent, detect, and respond to cyber-attacks. The framework has been translated into many languages and is used by various governments and organisations across the world. The UK Government has also come out with very useful information to help organisations. Recently, Singapore opened a new cybersecurity school and the Ministry of Defence (MINDEF), is planning to hire security experts for their cyber defense strategy. Cybersecurity is a challenging area and is a very broad discipline that requires skills across technology, forensics, business management, risk and compliance, education, communication, technical support, and others. Negligence can impair reputation and lead to commercial losses but by understanding the security aspects, one can become aware of the potential threat and be in a better position to counteract it, or even preempt it. This is just a glimpse to give you some insights into areas of cybersecurity and what goes under the surface. For specific details, you may get in touch with us or speak with a cybersecurity expert. Is there any charm left for IoT enthusiasts at MWC? At last, the Mobile World Congress (MWC) – the world’s largest exhibition for the mobile industry – is moving back to its origins. 5G technology has been a star in this year’s conference and I must say that it still has almost the same number of defenders as detractors. Opinions from both sides – the proponents and the critics – have been heard this week in Barcelona and while in the middle I have adopted an easy and not very brave opinion on this aspect. I still think that 5G can bring great advances in many sectors such as healthcare or transport, but contrary to this I don’t think that we will be using 5G in Virtual Reality multi-player games. That’s like, too much investment for a few general use cases of the technology. I went to Barcelona to discover about happenings on the Internet of Things (IoT), start-ups and to discuss advances on IoT strategies with Operators, Manufacturers and System Integrators who were present at this Congress. The gist of my visit at the end of my three days time and impressive 70,000 steps on my Fitbit tracker, is that the role of IoT at MWC has been diluted. A couple of years ago almost all the exhibitors used the word IoT on their stalls, many without knowing anything about what it was and today, it hardly appears on a few. There are no longer innovations, nor new use cases that attract visitors. In the long-wait of 5G, IoT operators are torn between several technologies such as NB-IoT or LTE-M o LPWAN networks. The LoRA alliance had a booth in Hall #8 (the Hall of the poor’s, I call this Hall). SigFox did not even attend this year’s conference, which further increased the rumors among the attendees on the possible precarious situation of the French Operator. This section is reserved for a few players – Ericsson, Huawei, and Nokia share most of the pie around the network infrastructure. A suspicion of Huawei security and doubts on the Operator’s role in election outcomes can delay 5G deployments in Europe. The Americans and the Chinese have already placed their decisions. Only Huawei granted me an opportunity to meet their VP, a friend of mine. I tried several times to reach Nokia whereas I did not even try to reach Ericsson this year, I already heard its strategy three times in the last year. By far, Nokia has gained in terms of its connectivity offer with Nokia Wing, the ecosystem and the use cases (somewhat more advanced than those presented last year). The technology behemoth Microsoft revealed its second-generation HoloLens AR and all I can say is that it left a ridiculous gap for IoT. Other IT giants such as Dell-EMC-VMware, SAP, Cisco, Oracle, SAS or SAG-Cumulocity did not showcase anything new. Moving towards the System Integrators, they are not even expected at this fair in relation to IoT. Neither the Cloud, nor the Edge IIoT, nor the IoT Platforms, nor the IoT applications had any new ideas that could have attracted the interest of veterans and novices. Where are the millions of dollars going in the industry, which they say are being spent on IoT? Finding an IoT gem among the many tiny cubicles of various countries was similar to finding a needle in a haystack. To me, there was hardly any interest to go through the dozens of small companies that used this event as a stage to make themselves visible to the world. The umbrella allows them to be here but attracting visitors between so much noise and variety to their booth was a big and miraculous task. Every year, I get in touch with IoT companies and know companies from Israel, UK, Sweden, Canada or France. However, this year to my surprise, I found an interesting company in the pavilion of Belgium. They have developed another league of IoT platform and I liked what they have achieved with Orange. They are my winner of this year. My special regards to the Colombia pavilion and my friend Edgar Salas. I could not visit 4YFN, but I went to IoT Stars. My friend Marc Pous and his colleagues always do a great job, who comes as a jury every year. It was a good time spent with them over a beer while sharing impressions of the IoT and discussing new ideas to accelerate this market once and for all. In my opinion, there was no great achievement this year and I still notice a gap in the Industrial IoT start-up space. Most ideas are like “Déjà vu” applications for Consumer IoT which reminds me of the post-years after the Internet boom. Much remains to be done here and it will take time for Universities to train innovators and entrepreneurs of IoT. It does not matter; this Congress was as soporific as the Oscars ceremony but for some strange reasons I keep coming back every year. Although after the fiasco of 2019, my expectations were set to find progress and opportunities in IoT but considering the after-effects, I think next year I will reduce my stay to only two days. It has become clear that the MWC no longer holds anything interesting with respect to IoT to attract visitors, exhibitors, companies. Instead, IoT enthusiasts should probably look to other – more focussed – industry events. If you want me to cover anything specific on IoT from MWC,19 then let me know in your comments. Commonwealth Bank of Australia (CBA) has entered into a partnership kicking off trials of 5G and edge computing with telecommunication majors Telstra and Ericsson to explore the benefits of 5G in the banking sector. The partnership agreement was signed at the annual Mobile World Congress (MWC) 2019, in Barcelona. 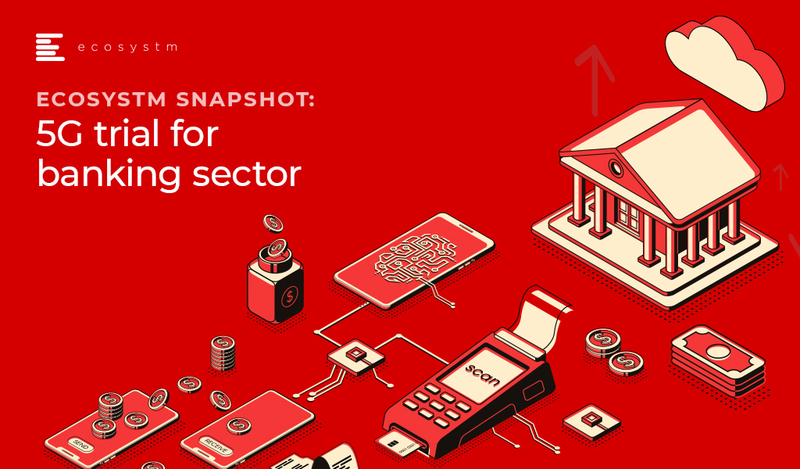 The trials are projected to showcase what banking in the future might look like, and how 5G technology and edge computing can help to lower the requirements of the infrastructure presently required for banking operations. Speaking on the subject, Ecosystm’s, Principal Advisor, Tim Sheedy, thinks that “this trial will help all parties better understand where the opportunities are for users of the mobile networks, and for the telco and equipment providers too. They will understand the potential demand for specific network slices and capabilities and get a better idea of what they need to deliver and whether or not there may be demand for these services”. While it’s too early to tell at this stage how will 5G benefit the banking sector, it should help banks offer their customers more reliable and relevant services – but what services need to be distributed at what times, and what can remain at the core are not yet understood. 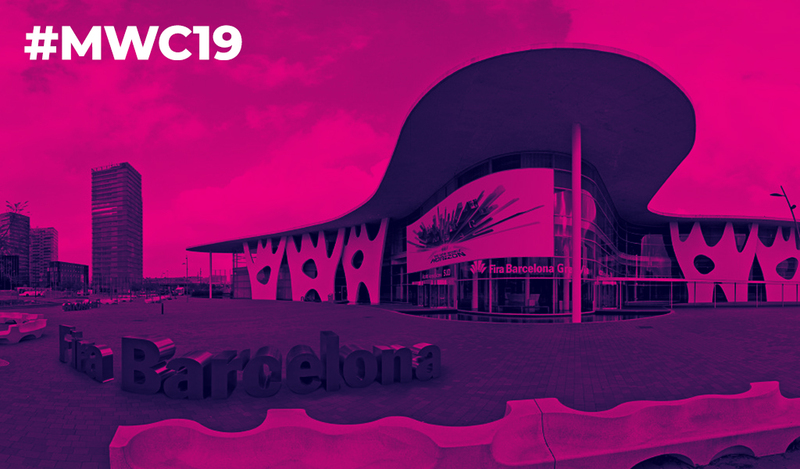 MWC 2019: Why can’t we build the telco networks like the clouds? Rightly so, the first day of the Mobile World Conference was taken up by more and more air time on the ever coming 5G networks. Was 2019 going to be the year when operators around the world would finally deploy 5G in volume? The booths in the halls at the Fira Grand would indicate that ‘if you build it, they will come’. Indeed the speculation that 5G is the next big game changer is over – it is the game changer for this next turn of the technology dial. However, let’s assume that the 5G hype is in the rear view mirror and we look to see what could be ahead of us in the mobile and telecom industry. At the end of the first day of this year’s MWC, I may have seen the future opportunity – and it is awesome! Pat Gelsinger asked the question “why can’t we build the telco networks like the clouds have been built for with scalability, flexibility, efficiency, and agility”? It’s a very fair question. After all, we do have Network Function Virtualization (NFV), and we will have new 5G services, so why not a new telco cloud? I spent time with two companies that may show us a glimpse of the future network and cloud infrastructure. The first is the Israeli software startup, DriveNets with its solution “Network Cloud”. DriveNets is focused on helping service providers disaggregate proprietary routers from their networks as they move to 5G. DRiveNet’s Network Cloud solution aims to disrupt the current network business model by separating network costs (e.g. proprietary hardware functions) to create network functions from its software stack and two ‘white label’ hardware building blocks. The entire network infrastructure is software-centric allowing for agility, scalability, and normalizing costs with business growth. However, Network DriveNets is an unusual startup in that it came out of stealth mode with $110 million in its first round of funding. The company was founded in 2015 by Ido Susan who should be familiar to Cisco watchers as he sold his first startup, Intucell (self-optimising network technology), to them for $475 million in 2013. DriveNets other co-founder, Hillel Kobrinsky founded Interwise (web conferencing) which was snapped up by AT&T for $121 million. To that end, the company is well funded and has the ability to sustain itself long enough to potentially disrupt the $50 billion network hardware business. The second is Rakuten Mobile, a well-known name in Japan, but the first mobile virtual network operator (MVNO) to launch there in over 10 years. MNOs are not new so what makes Rakuten different? The company’s CTO, Tareq Amen explained to me that they are building the world’s first end-to-end fully virtualized cloud-native network running all of its workloads in the cloud. Being a fully virtualized network enables Network Function Virtualization to take advantage of cloud computing basis assets where a service delivery platform can be implemented, customized and scaled at speed. Finally, all of Rakuten’s core technology including its Radio Access Network (RAN – a topic that has been highly discussed at this year’s MWC) on 5G thus delivering immediate and actual 5G services. This compares to most of the rest of the industry who will have to build an uncomfortable transformation roadmap from 2/3G and LTE to 5G. While Amen’s strategy is compelling, there are a few technical hurdles to overcome. For example, enterprise-grade 5G indoor coverage isn’t fully there yet so Amen will have to rely on the operators that he is competing against who have that real estate. So why highlight DriveNet and Rakuten in the same blog? In Rakuten’s case the CAPEX and OPEX business models for operators may be turned on their heads by the fact that its network is taking all of the competitive advantages of 5G while offering customers as disruptive pricing models and services. In a country such as Japan where traditional operators have struggled to modernize their networks, this could be a competitive threat. Equally, there could be a global rise in copy-cat pure 5G/cloud-based MVNOs spring up and fiercely compete against the incumbent local operators as well as give other MVNOs a tough time. As for DriveNets – it’s simple…it’s software and virtualization of the switch and router market which is very appealing to the service providers. It will commoditize the hardware, lowering their costs while allowing them to continue to focus on new 5G services. 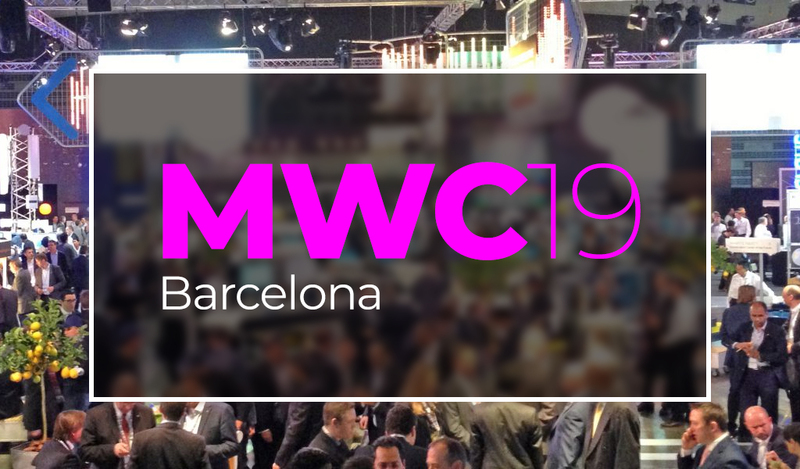 Arriving ahead of this year’s Mobile World Congress in Barcelona always makes me wonder what will be the big plays from the leading operators, carriers and equipment manufacturers. 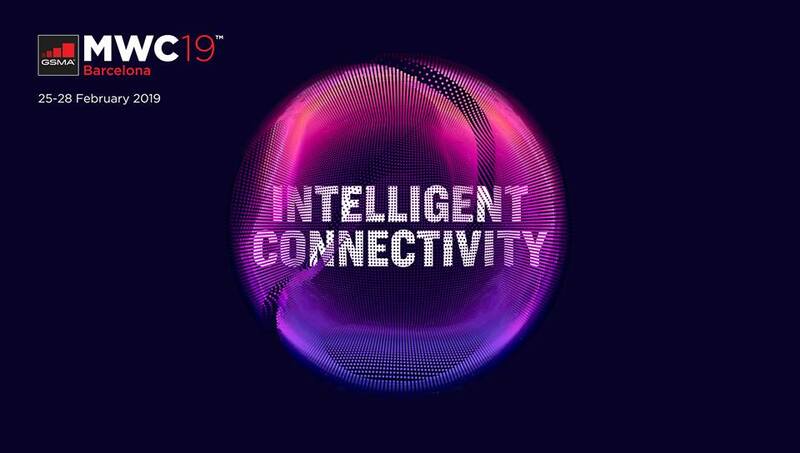 The ‘Intelligently Connected’ theme from the GSMA would suggest that emerging innovation surrounding smart connected IoT devices feeding massive amounts of data to drive AI would be in the spotlight. It will! However, it will play a significant second fiddle to 5G, where everyone will be looking to see the progress made from last year to now, 2019, the year when the whole industry is looking to monetize it. Using a construction site analogy, the foundation has been poured and the building has been ‘topped’ out – in this case, the 5G standards have been finalized and global test beds are now switched on, so now it is ‘show time’ to fill the building with fixtures and fittings . However, there is still a lag in 5G devices and use cases so I would expect to see an avalanche of announcements from mobile device manufacturers (some have already announced the return of the foldable phone). Lastly, 5G continues to bring new business model challenges to everyone. Operators continue to be pressured to deliver revenues and profits from 4G investments, while looking for ways to make the 5G license costs appear to be the right choice and not part of government price gouging. One thing that I will be looking for is the evolution of the operators’ market places where they bring IoT-related data to cloud ready enterprise SaaS platforms. It is here where the contextual data will be used to drive enterprise data management systems such as CRM and generate valuable business outcomes.